Is the Government of India becoming increasingly unenthusiastic towards the Right to Information (RTI) Act? It would seem so, if a recent RTI reply to a plea filed by Ventatesh Nayak of the Commonwealth Human Rights Initiative (CHRI), Delhi, is any guide. As the anniversary of the gruesome attack terror attack approaches (November 26), Nayak had sought two reports from the Ministry of Home Affairs (MHA) – one an inquiry held by a government-appointed committee and the other action taken (called ATB report) by the government on the committee's findings. The MHA rejected the request stating that the information was "classified" and therefore covered by Section 8(1)(a) of the RTI Act. Ironically, says Nayak, both the reports were declared as “classified” even though these had been tabled in the Maharashtra state legislature a year after they were prepared in 2009. The first report, by the High Level Enquiry Committee (HLEC) headed by former Governor of Arunachal Pradesh RD Pradhan, and V Balachandran, former special secretary, Cabinet Secretariat, a former Mumbai-cadre of the Indian Police Service, as member, was meant to find out if there any lapses in intelligence inputs provided by the Central intelligence agencies, or in promptly acting or reacting to the terror attack. It also gave a slew of recommendations for future attacks. The terror attack, which took place in 2012, saw the death of 164 persons, including police personnel and NSG commandos. It began on the night of 26/11 and ended on 28/11. Ajmal Kasab, the only perpetrator who was captured alive, was executed in November 2012, at the end of a multi-stage judicial process. A plethora of facts and evidence emerged during this process showing their linkages with Pakistan. Refused access to the two reports, Nayak filed a fresh RTI with the secretariat of the Maharashtra Legislative Assembly seeking the copies of both the reports. And in less than a month it sent both the reports – HLEC's report and the ATB report – to him. As the ATB report is in Marathi, he has placed, through an email alert, an unofficial translation in English for public perusal. Providing recommendations, most of which were accepted by the Maharashtra government, the ATB report suggests glaring security lapses during the terror attack. It talks of inadequacy of the “existing machinery/mechanism” to assess “the overall situation” as it existed ahead of the terror attack. Thus, intelligence reports were found to have been “mechanically forwarded” to operational units by the DGP’s office, or ATS or Home department, without “adequate procedure in place for processing” them. 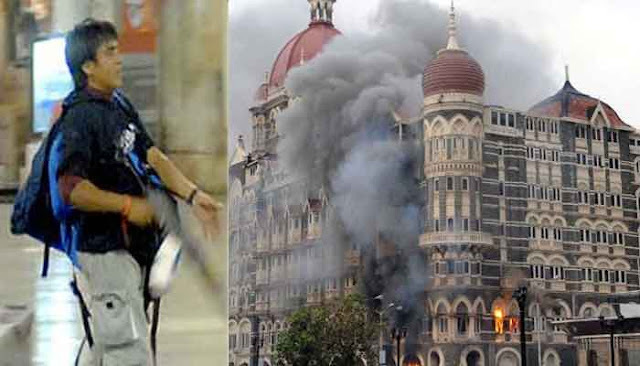 Other lapses include lack of a quick response team to to counter a 26/11-like terror attack, lack of “best equipment” with the police’s Quick Response Team (QRT) regime, lack of a proper “working process” for handling bomb blasts, neglect of carefully established standard operation procedures (SOPs) in the time of such disaster by senior police officials, shortage of ammunition, especially stock of AK 47 bullets, and so on.